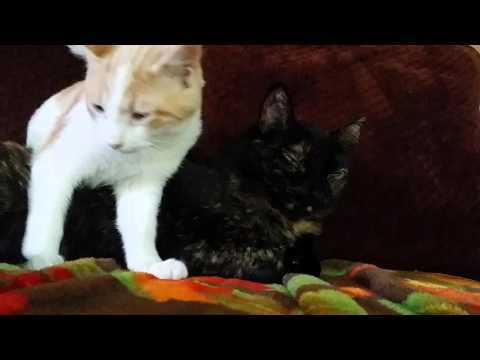 There are 7 cat videos tagged with foster. Storm & Shadow meet Finn, an extremely patient cat. And yes, I am aware that there is straw on the floor. Comments telling me how filthy my house is will be removed, it's just from my other dogs coming inside. 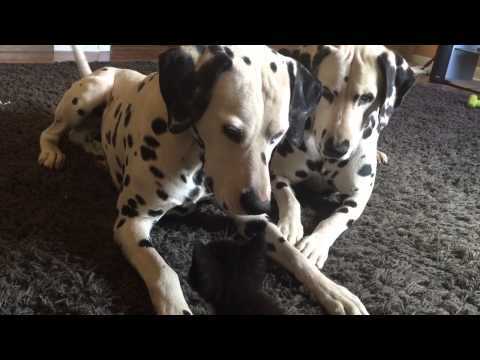 An adorable black and white foster kitten plays with some much bigger friends, a pair of dalmatians. 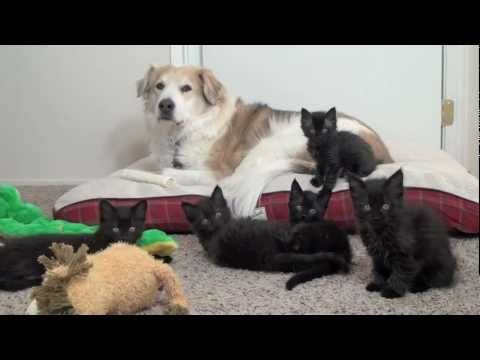 The tiny cat is not afraid to let the dogs know when their sniffing gets too close for comfort. Foster kitten, Stella, uses another cat, Chloe, as a bed. She is so sleepy, but doesn't want to lose her spot. Eventually, she curls up as close as she can to Chloe. Sweet dreams. 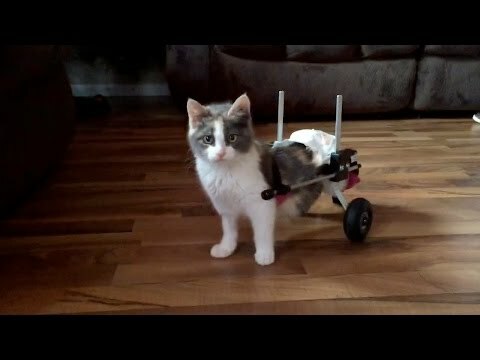 Fury has her wheels and is ready for her new home! "Music: http://www.bensound.com/royalty-free-music"